Government at It’s Best…Working for You! Comal County is located in south central Texas northeast of San Antonio and southwest of Austin. 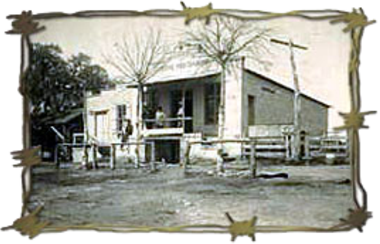 Comal County was created by the First Legislature of Texas, in March of 1846. Comal County was the first of 128 counties created from the original Bexar County. The Act by the First Legislature to create the county was approved on March 24, 1846. Comal County comprises 567 square miles of prairie and hill country terrain with a population of 108,472. 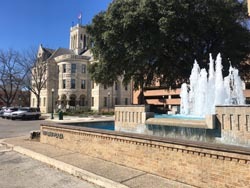 Comal County gets its name from the Comal Springs and the Comal River that flow through the City of New Braunfels, the county seat and its largest city with a population of 57,740. There are six other cities located entirely or partially within Comal County, the City of Garden Ridge, the City of Schertz, the City of Selma, the City of Fair Oaks Ranch, the City of Bulverde and the City of Spring Branch. Comal County is governed by a Commissioner’s Court made up of a judge elected at large and four commissioners, who are elected by the precincts in which they reside. Th e County Judge’s primary function is to be the presiding officer of the Commissioners Court, however, the County Judge may also consider some criminal, civil, juvenile, probate and mental competency cases. Other elected officials of Comal County include four justices of the peace, four constables, two county court at law judges, three district judges, The Criminal District Attorney, the District Clerk, the Sheriff, the Tax Collector/Assessor, the County Clerk, and the County Treasurer. County officials appointed by the Commissioner’s Court are the County Engineer. The District Judges have the statutory authority of appointing the Adult Probation Officer, the County Auditor, court reporters for the district courts, bailiffs, and the Court Administrator. The County Juvenile Board, comprised of the District Judges and Comal County Judge, appoints the Juvenile Probation Officer. For more information on Comal County, please visit their website by clicking here. The City of Bulverde known as the “Front Porch of the Texas Hill Country” is located north of San Antonio near US Hwy 281, FM 1863 and State Hwy. 46. Bulverde was originally settled in 1850 and called “Pieper Settlement”, after Anton Pieper. For many years the closest post office was at Smithson Valley, and mail was delivered once a week to the house of Carl Koch in Bulverde. A local post office that operated from 1879 to 1919 was named for Luciano Bulverdo, an early area landowner. 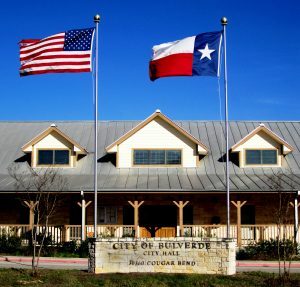 In the period between 1996 and 1999, 5 separate municipalities were incorporated and combined in the Bulverde area to form the current City of Bulverde. This process required 22 separate elections and was done as a grass roots effort to create a large extraterritorial jurisdiction (ETJ) that span across the hill country north of San Antonio touching the New Braunfels ETJ to the east and the Boerne ETJ to the west to stop San Antonio from annexing north into the hill country. This effort is commonly referred to as the “Boerne Wall.” At that point in time the City of Bulverde was incorporated as a Type A general-law municipality, however, in May 2015 the citizens voted to adopt a Home-Rule charter to have more control over development in the area which includes annexation authority within the city’s extraterritorial jurisdiction (ETJ). Its form of government is “Council-Manager” and its governing body is comprised of a Mayor and six Councilmembers elected at-large, all of whom are elected to staggered three-year terms and may not be elected to serve more than three consecutive three year terms. The City Manager is the administrative officer of the City who serves under the Mayor and City Council and is responsible to the governing body for the execution of the laws and administration of the City government. Planning – Zoning, Transportation, Economic Development, etc. In July 2017, the City of Bulverde was selected as 1 of 13 Texas municipalities to be awarded Scenic City Certification through the Scenic City Certification Program, a project of Scenic Texas. The Scenic City program supports and recognizes cities for commitment to high-quality scenic standards for public roadways and public spaces. Five cities were certified for the first time—including Bulverde—and eight were re-certified or upgraded their existing certification status, bringing the total number of certified cities in Texas to 71. Bulverde has been certified at a Silver level, which indicates a score that falls within 70–79% of the points available. The scoring process is explained and well-documented on the Scenic City website. 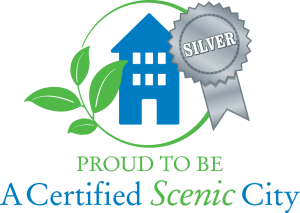 As a first-time certified Scenic City, Bulverde joins other Silver ranked cities such as College Station, Granbury, Grapevine, and Irving. For more information on the City of Bulverde, please visit their website by clicking here. The City of Spring Branch is located in western Comal County along U.S. Highway 281, north of Bulverde, west of Canyon Lake and the surrounding unincorporated community of the same name. New Braunfels is approximately 21 miles southeast of Spring Branch. The city covers 1.9 square miles. Spring Branch was originally settled by Germans in the 19th century, Spring Branch is named for a spring fed creek that flows into the Guadalupe River. A significant portion of Spring Branch that borders the Guadalupe River was first settled by German native Adam Becker (1815–1901). Becker journeyed to Texas in 1845 to join Prince Carl of Solms-Braunfels in establishing a colony on behalf of the Adelsverein, also known as the German Emigration Company. Becker contributed to the building of Fredericksburg, Texas, and assisted with other aspects of the colony. He married Elizabeth Monken and by 1852 had established his homestead on what is now Phantom Rider Trail in Spring Branch. On his homestead, he raised cattle. The house he built for his family, which was privately restored in the first decade of the 21st century, was constructed of locally quarried stone and hand-hewn cypress from the banks of the nearby Guadalupe River. Adam Becker became a United States citizen in 1860 and upon his death in 1901 was buried in the cemetery on his homestead. The City of Spring Branch was incorporated in November 2015 as a Type C general-law municipality. The movement to incorporate Spring Branch was initiated over concerns that the area could possibly be annexed into the growing city of Bulverde, which lies to the south. Voters in Bulverde adopted a home rule charter in May 2015 that would allow the city to involuntarily annex bordering properties, including portions of the Spring Branch community. Supporters of the measure also cited local control and preserving the character of the community as further reasons to incorporate. Opponents questioned the economic viability of incorporating a small community with a limited tax base to fund and provide city services. Others expressed the desire to remain unincorporated, but would also prefer having their own city to becoming part of Bulverde. The City of Spring Branch operates under a commission form of government. The Board of Commissioners is comprised of a Mayor and two City Commissioners. No other elective officers are required; however, the board of commissioners must appoint a city clerk, and may provide by ordinance for the election or appointment of such other officers as are required. The City of Spring Branch is a limited-service municipality with no paid staff. For more information on the City of Spring Branch, please visit their website by clicking here.